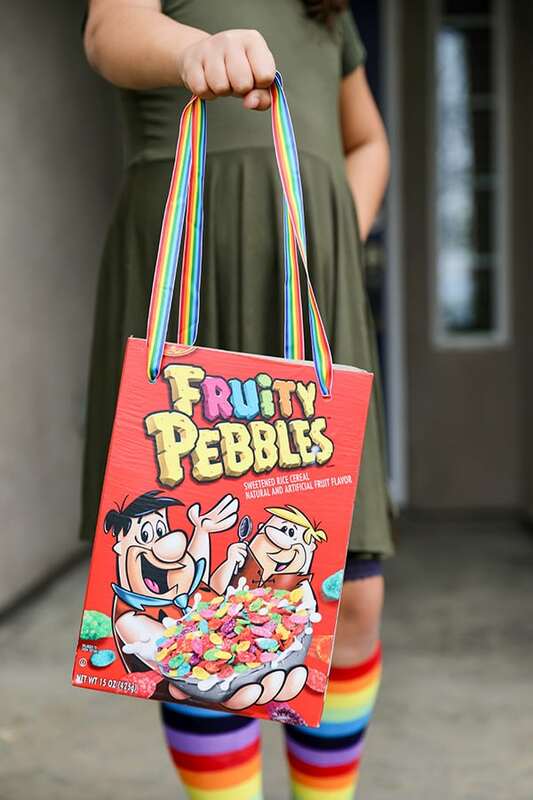 These Cereal Box Tote Bags are so easy to make and such a fun recycled craft idea! 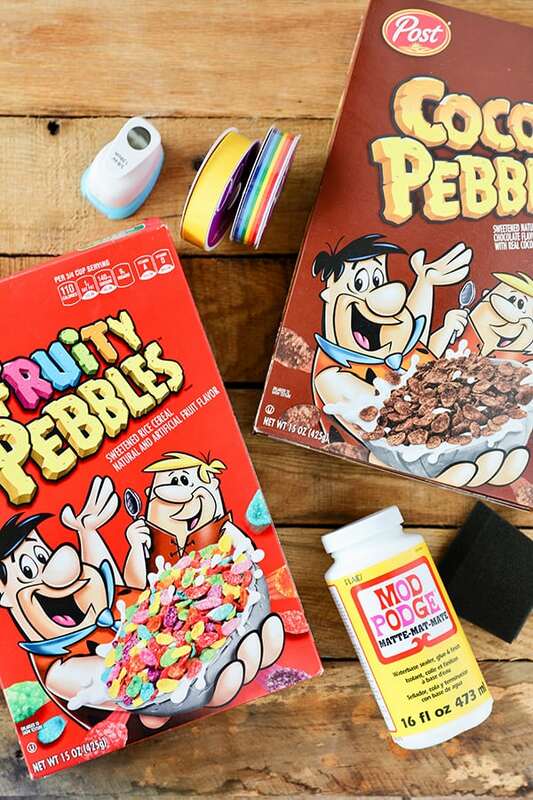 I love the Flinstone artwork on the Fruity Pebbles and Cocoa Pebbles cereal boxes and think they give the craft a cute retro vibe. I made these totes for my girls and they were thrilled with a fun colorful bag to hide their treasures. 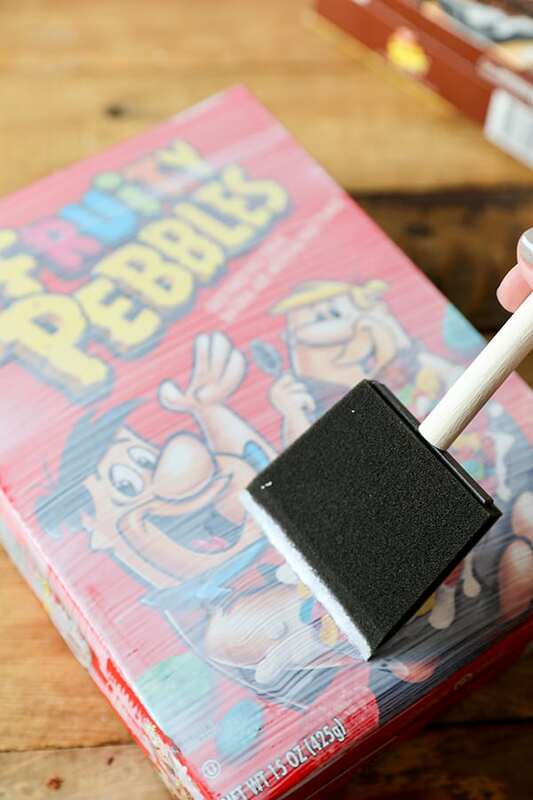 I used Mod Podge to give the box a little more durability and rainbow striped ribbon for the handles. 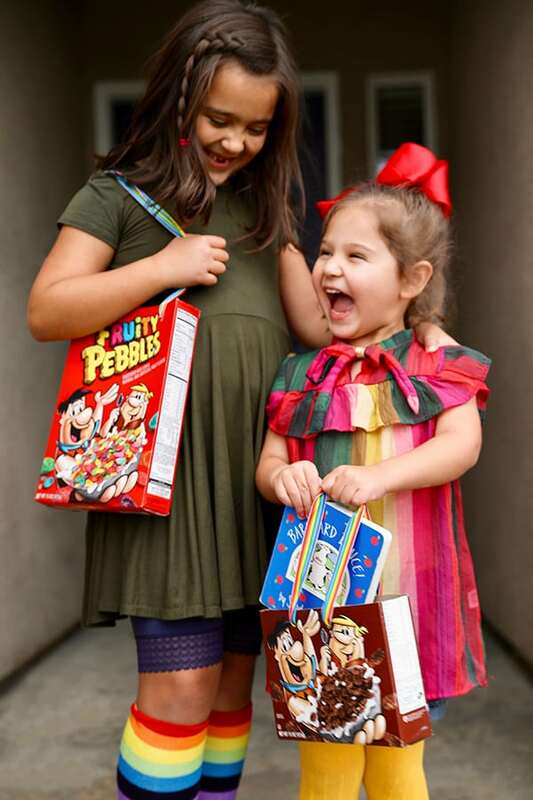 I made the ribbon a little longer so my girls could carry the totes like purses, and they loved them! Step 1. Cut box to desired height, using scissors or an x-acto knife. Step 2. Reinforce bottom of box by opening and then gluing shut with hot glue. Step 3. For added durability, brush box with an even coat of Mod Podge and let dry. Step 4. Use a hole punch to punch holes for handles. Step 5. Thread ribbon and finish with a knot. Step 6. 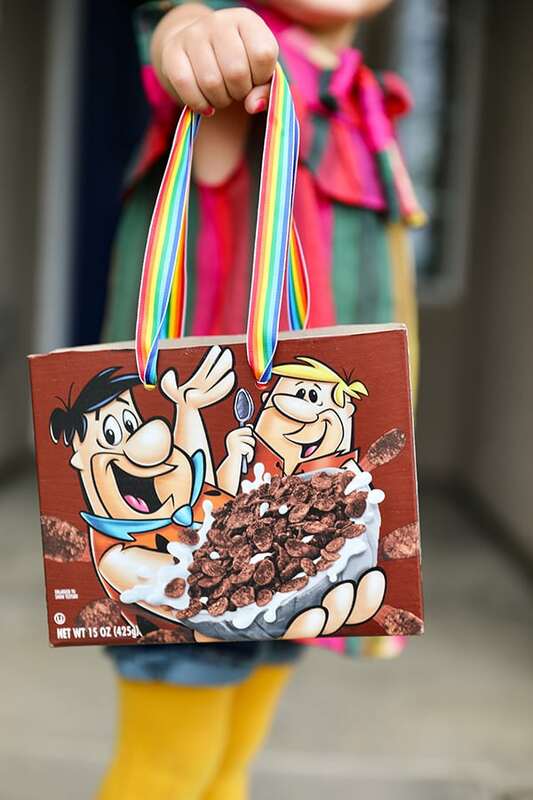 Enjoy your recycled cereal box tote! We found the full size box with just about an inch trimmed off all the way around was a good size for most picture books. 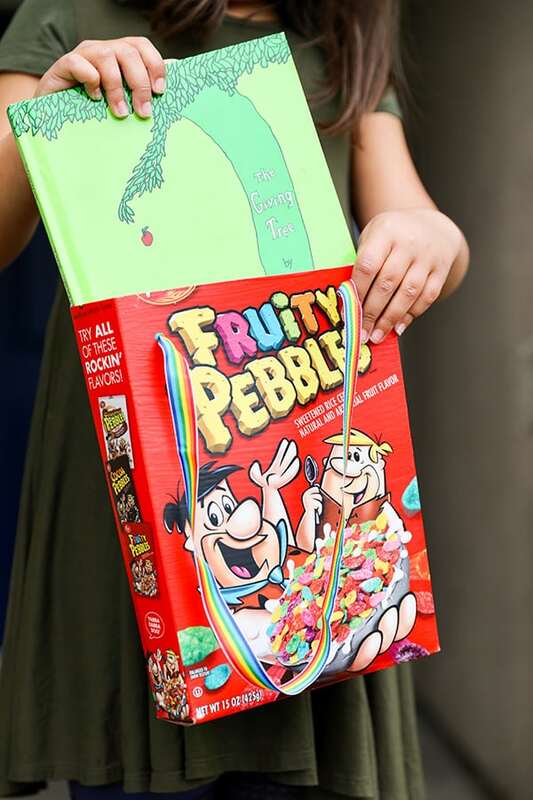 We cut the Cocoa Pebbles in half for a smaller size tote, and it was perfect for smaller board books! 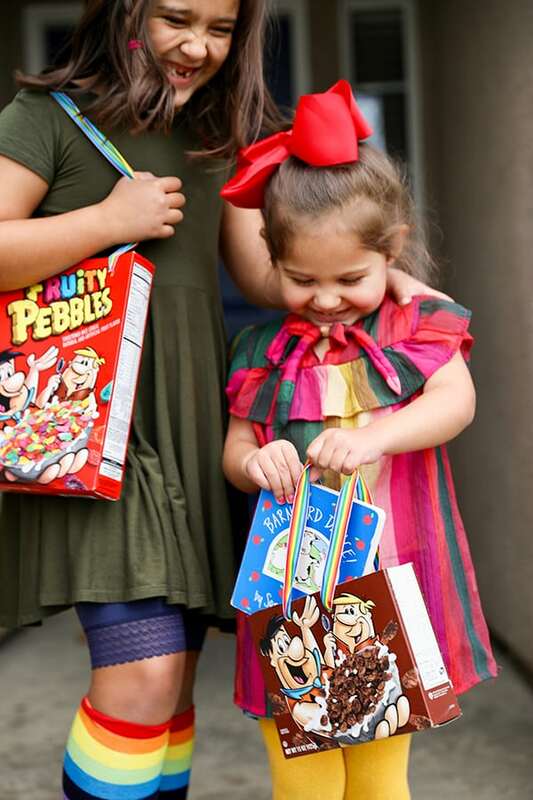 My girls loved these fun totes and thought they were the perfect sizes for their favorite books! 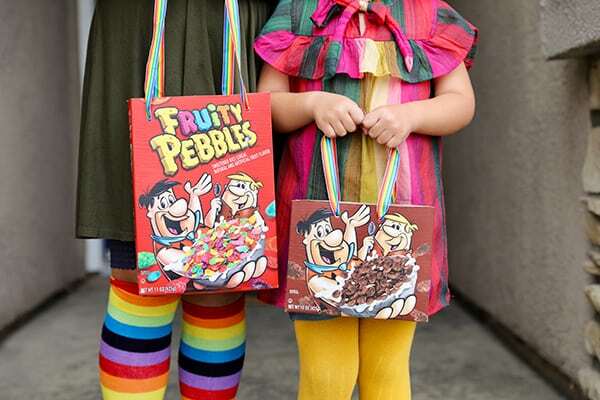 They would make super cute gift bags too!